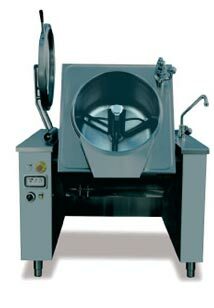 Appliance of innovative design, combining the advantages of cooking the product with continuous stirring and discharging the food into receiving trolleys with the discharge spout always at a constant height from the ground.The mixing blades can be customized to suit the types of product to be processed. 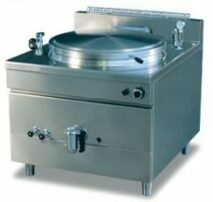 PGN is the model most used for foods requiring cooking in bain-marie. 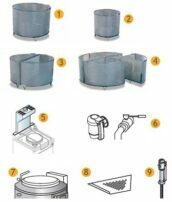 Cooking pot with square-shaped tank of standardized size for the use of baskets of Gastronorm type. The models range from 100 to 400 litres and can be arrayed in series.